Musician’s dystonia is a type of task specific dystonia for which the pathophysiology is not clear. In this study, we performed functional magnetic resonance imaging to investigate the motor-related brain activity associated with musician’s dystonia. 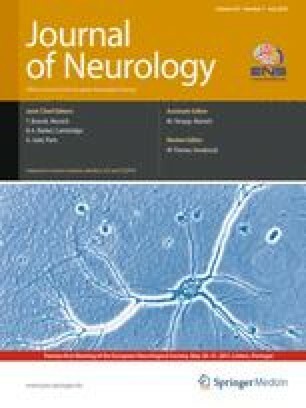 We compared brain activities measured from subjects with focal hand dystonia and normal (control) musicians during right-hand, left-hand, and both-hands tapping tasks. We found activations in the thalamus and the basal ganglia during the tapping tasks in the control group but not in the dystonia group. For both groups, we detected significant activations in the contralateral sensorimotor areas, including the premotor area and cerebellum, during each tapping task. Moreover, direct comparison between the dystonia and control groups showed that the dystonia group had greater activity in the ipsilateral premotor area during the right-hand tapping task and less activity in the left cerebellum during the both-hands tapping task. Thus, the dystonic musicians showed irregular activation patterns in the motor-association system. We suggest that irregular neural activity patterns in dystonic subjects reflect dystonic neural malfunction and consequent compensatory activity to maintain appropriate voluntary movements. This study was partly supported by the YAMAHA Music Foundation. We wish to thank Prof. Emer. Juntendo University Dr. Yasuo Yamauchi for helpful comments and encouragement.